Roads tell a story. Every road does. 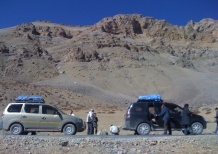 Listen to a similar yet different story during Jeep safari holidays, on the mountain road from Leh to Manali. 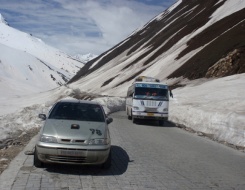 Connecting Ladakh and Kullu Valley, the road lets its travelers through the second highest pass Tanglang La at an altitude of 5360 mts among many others in the Greater Himalayas. 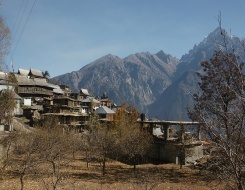 The tribes and their colorful culture, the monks and their monasteries, mountains and their majesty, rivers and their welcome gurgling sounds, wild sceneries and their magnetic lure are all ready to greet adventurers on their Jeep safari tours India. 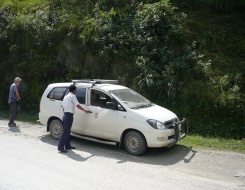 The serenity of the mountain roads is not limited to just one road; it extends to the other places of Himachal, like Shimla, Kinnaur, Spiti and other states flaunting Himalayan region, like Sikkim, Arunachal Pradesh along with Jammu and Kashmir (J&K). 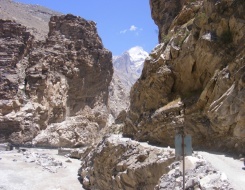 Some of the preferred jeep safari tour take traveler to highest motorable pass- Khardungla pass along with other difficult places such as Tsmoriri, Nubra and Dah Hanu. Glimpse into meadows laden with multicolored mountain flowers like rhododendron is another marvelous aspect of the tour packages of Jeep Safari. 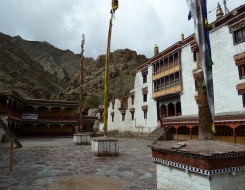 Add to the list some of the most fertile of the valleys like Lahul, Zanskar, apart from making acquaintance with the tradition and cultures far above the plains, and the result is amazing stories written in the stony gravel of roads. Book a package today for an unforgettable mountain road trip in Jeep and explore until tired!